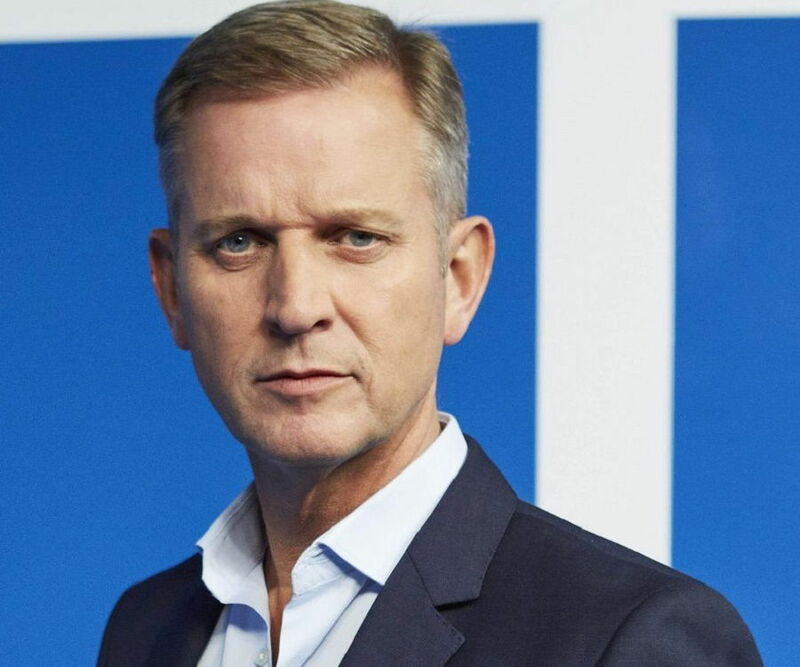 Jeremy Nicholas Kyle is a British TV and radio show host known for his controversial tabloid talk show, ‘The Jeremy Kyle Show.’ Check out this biography to know more about his childhood, family, personal life, career, controversies, etc. 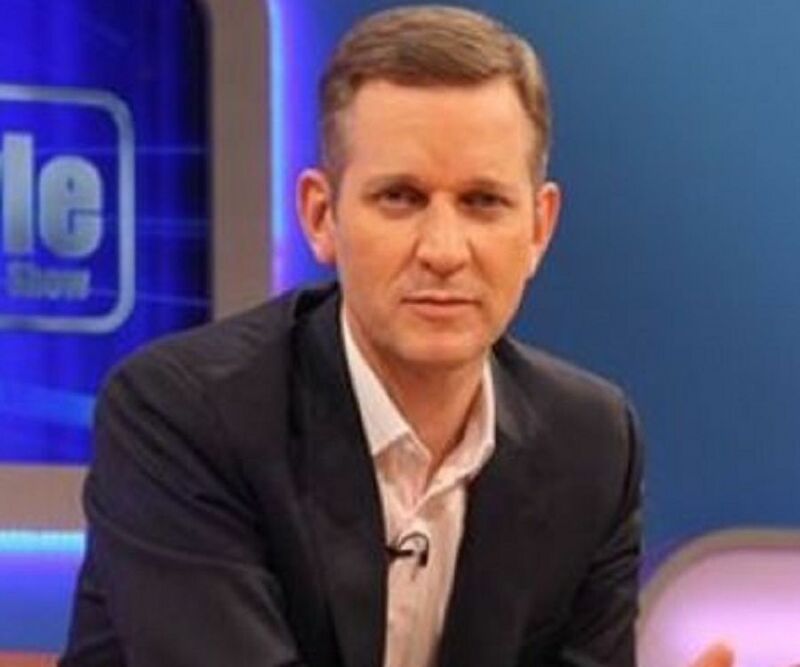 Jeremy Nicholas Kyle is a British TV and radio show host known for his controversial tabloid talk show, ‘The Jeremy Kyle Show.’ He is also known by the name ‘Jezza.’ His show has completed over 3,000 episodes in the UK and he has hosted the US version of his show for two seasons. 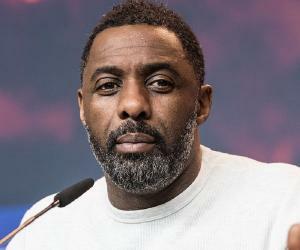 Born and raised in Berkshire, UK, he studied history and sociology at the ‘University of Surrey.’ While working as a radio advertising salesman, he got a chance to host a radio show, which was the beginning of his career as a show presenter. He worked for different radio stations, such as ‘Orchard FM,’ ‘Leicester Sound,’ ‘Virgin Radio,’ ‘Capital FM’ among others and hosted shows like ‘Jezza’s Jukebox,’ ‘Capital Confessions,’ and many others. His show ‘Late & Live’ won him an award. Kyle began hosting ‘The Jeremy Kyle Show’ on the radio, which was later transported to the TV and he has been presenting the show on ‘ITV’ since 2005. He has also hosted some other TV shows, such as ‘The Kyle Files,’ ‘High Stakes,’ ‘Jeremy Kyle’s Emergency Room,’ among others. He has married twice and is father of four children. Jeremy Kyle was born on July 7, 1965, in Reading, Berkshire, UK, to Nan and Patrick Kyle. His father worked as an accountant and personal secretary to the Queen Mother. He was the younger of two sons; his elder brother Nick turned a drug addict. Kyle studied at an all-boys independent school, ‘Reading Blue Coat School,’ in Sonning, Berkshire. After graduation, he attended the ‘University of Surrey’ in Guildford, where he studied history and sociology. He initially worked for ‘Mark and Spencer,’ the supermarket chain. Later, from 1986 to 1995, he worked in different jobs, such as life insurance salesman, recruitment consultant and radio advertising salesman. During his last job as radio advertising spots salesman, he was asked to fill-in as a replacement and that was the beginning of his radio-host (and later TV presenter) career. He began working at ‘Orchard FM,’ Taunton, Somerset, and ‘Leicester Sound’ in Leicester, as a radio host and in 1996, he worked at ‘Invicta FM’ in Kent. From 1997, he presented two shows, ‘Late & Live’ and ‘Jezza’s Jukebox’ on ‘BRMB’ in Birmingham. The show ‘Late & Live’ earned him a ‘Sony Award’ in 2001. In 2000, he hosted ‘Jezza’s Confessions,’ a show with a pattern similar to his earlier show, on the ‘Century FM’ network. From July 2002 to June 2004, Kyle was the presenter of ‘Jezza’s Virgin Confessions’ on ‘Virgin Radio.’ In September 2004, he left ‘Virgin Radio,’ and joined London’s ‘Capital FM’ and hosted ‘Capital Confessions,’ wherein he handled live calls about various relationship issues. This show was replaced with another show, ‘The Jeremy Kyle Show,’ which had similar format and was aired through 2006. His new show ‘The Jeremy Kyle Show’ began in 2007 on Gcap Media’s ‘One Network.’ (This network included all his previous radio stations, such as Orchard FM, Invicta FM and BRMB). The format of this show was different from his earlier ones as here he interviewed celebrity guests. From September 2008, he began presenting Sunday lunchtime sports show, ‘The Jeremy Kyle Sunday Sports Show,’ on ‘Talksport,’ the global audio partner of the ‘Premier League.’ Later, his show was cancelled to make way for another, (Premiership), so Kyle left the station. Kyle began presenting ‘The Jeremy Kyle Show’ on ‘ITV’ in 2005. This show received criticism from many, including court judges. He also hosted some other shows, such as ‘Kyle’s Academy,’ where experts participated and helped in guiding people toward a better life, and ‘Half Ton Hospital,’ which was about obese people in the US. In April 2011, he presented the series ‘Military Driving School,’ which documented the training of newly recruited military drivers at ‘Defense School of Transportation,’ Yorkshire. His ‘ITV’ game show ‘High Stakes,’ in which the contestants had to solve clues to avoid traps, was broadcast in 2011. In September 2011, ‘The Jeremy Kyle Show’ debuted in the United States and Canada. This show was based on his British talk series and ran for two seasons. He writes columns for several publications - a column titled ‘Pick Me Up’ for a women’s weekly magazine and another one, ‘Jeremy Kyle Says ……,’ in which he writes replies to the reader’s problems. His first book, ‘I’m Only Being Honest…’ was published in 2009 and it deals with his perception about social problems in Britain. Kyle’s other book, ‘You Couldn’t Make it Up’ was published in June 2010. Kyle married his first wife Christy Rowley in 1989, but they divorced in 1991. They have a daughter, Harriet. During his marriage with Christy, he turned a habitual gambler, which resulted in a debt of £12,000. He still gambles occasionally, but is no more addicted to it. He got married for the second time to former model Carla Germaine in 2003. The couple has two daughters, Alice and Ava, and a son, Henry Kyle. Kyle and Carla divorced in February 2016. In June 2018, he became a grandfather when his daughter Harriet gave birth to a baby girl, Isla. In February 2018, Kyle disclosed the news of his engagement to Vicky Burton. He was diagnosed with testicular cancer in 2012 and was treated with chemotherapy as well as operated upon to remove the affected part.